The software allow users to export entire data from lotus notes file like emails, contacts, to do list, journals and calendars. 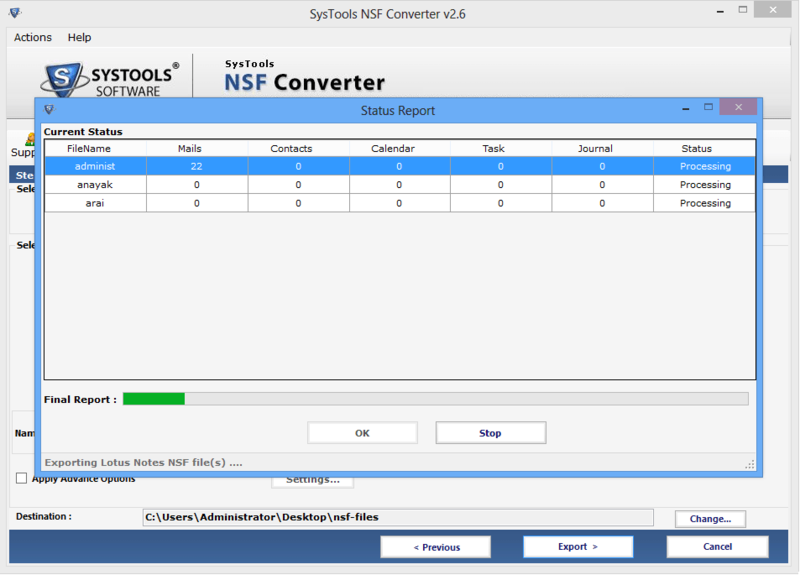 It supports single or multiple nsf file conversion and ensures user that, It will keep meta property unchanged. 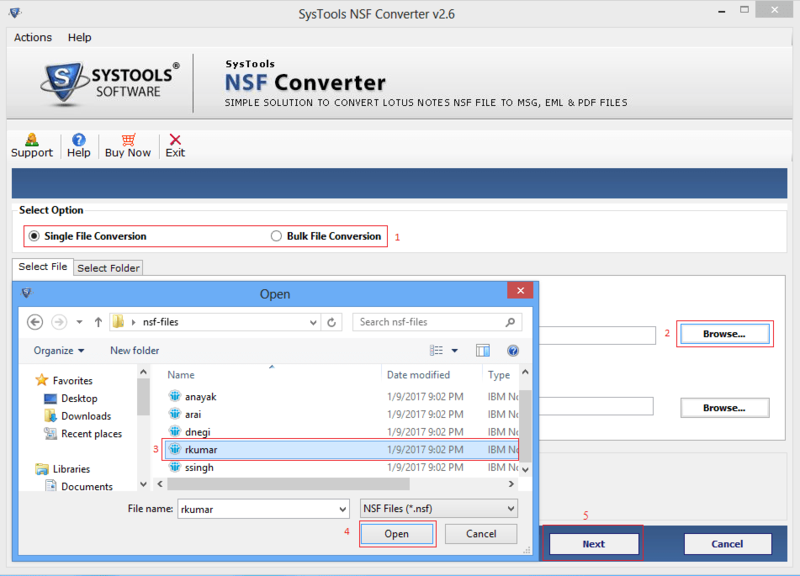 If you saved multiple nsf file in common folder then this feature will help you a lot. 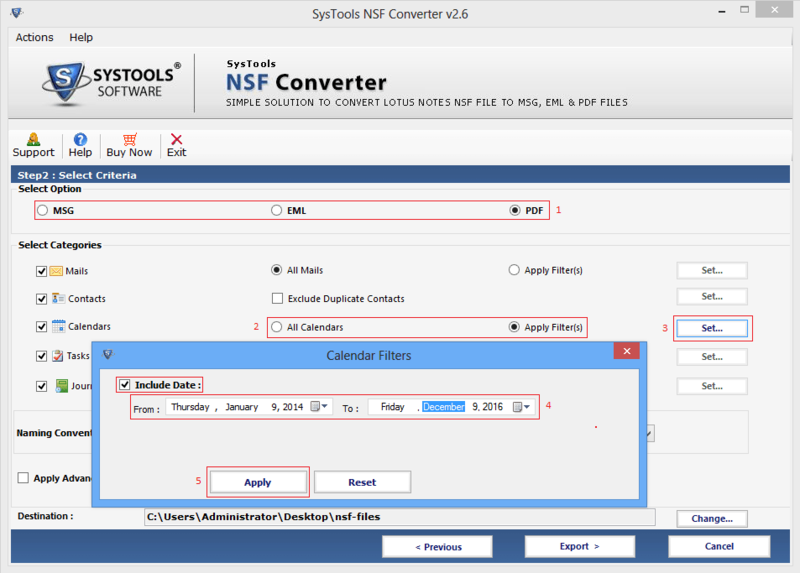 Simply brows complete folder in nsf to eml tool and the software will export all files simultaneously. 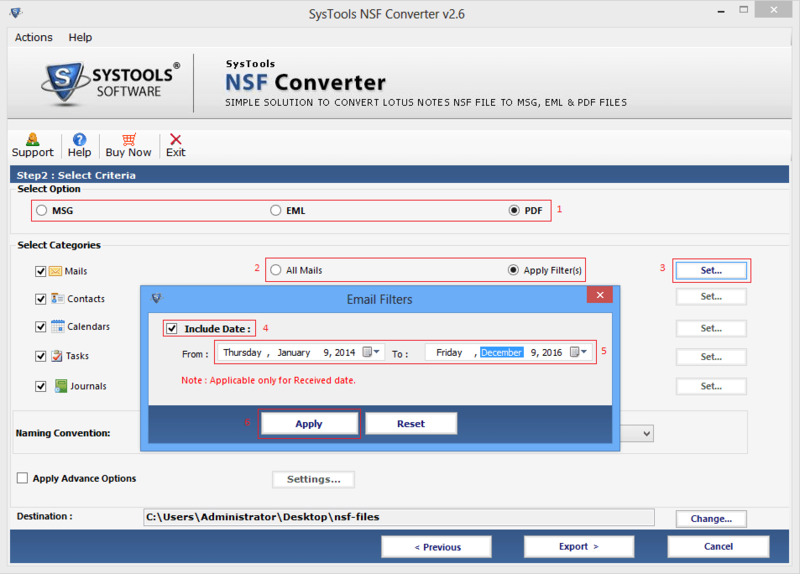 Also user can search nsf file in sub-folders. 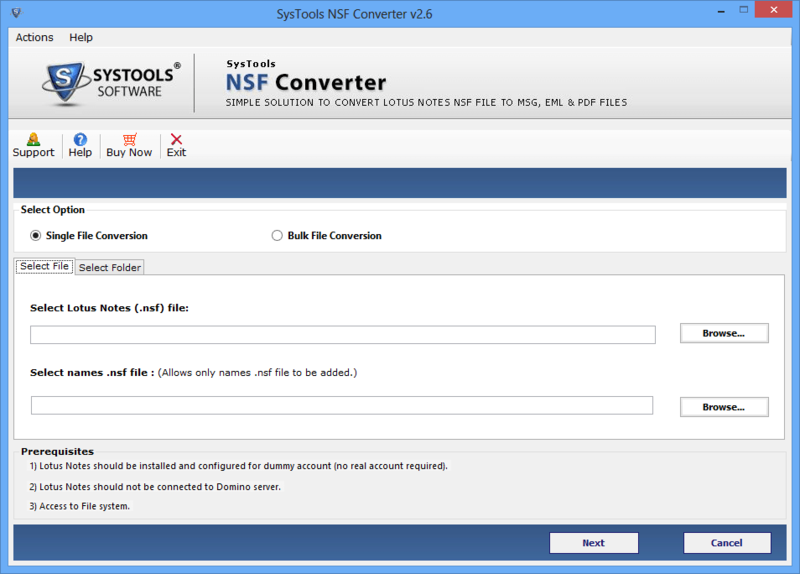 Although software easily migrates entire data from lotus notes nsf file to eml format. But it also posses a features to export only selected items. It enable user to select required items after previewing scanned data. 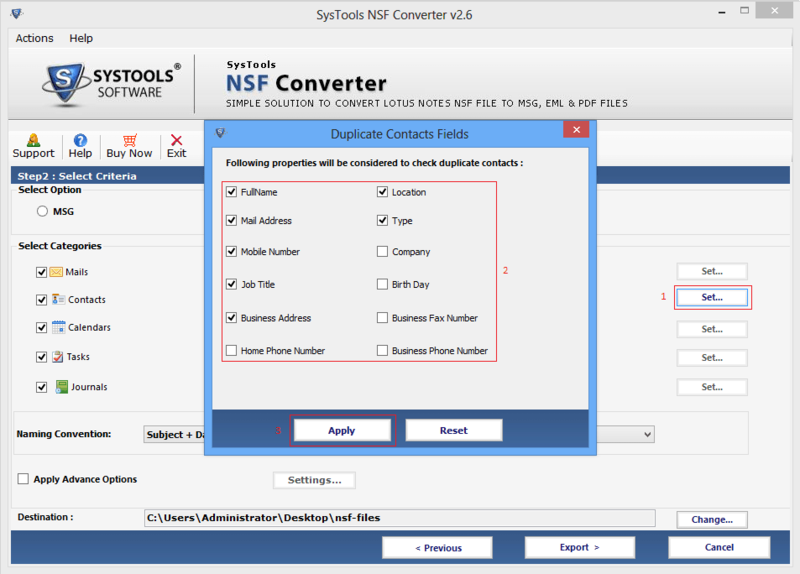 If your nsf file is too large and you want to convert only names.nsf file item then no need to brows entore nsf file. Simply brows only names.nsf file by clicking on brows button. And software will add only names.nsf file. 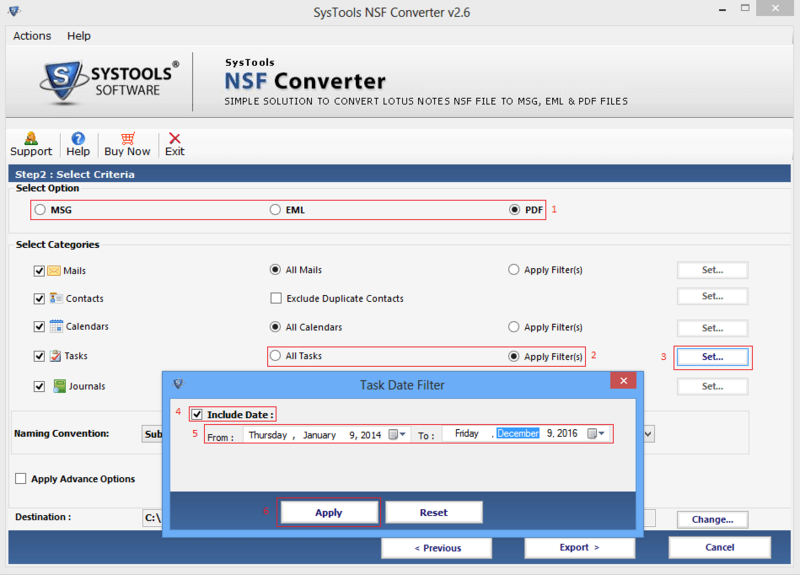 User can include date filter option while performing nsf to eml conversion. The software will include those data which lies in provided data range. This feature is applicable only for email receive date. The software posses an advance feature i.e. category selection. In this feature user can select required items only from the all list like Mails, Contacts, Calendars, Task and Journals. Then tool will export only selected item. 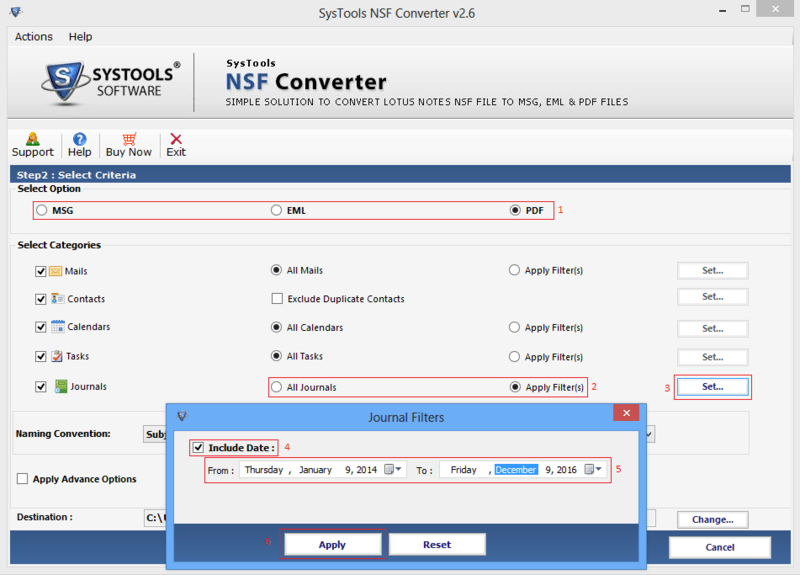 After successful conversion of nsf file to eml format user can save the resultant file according to date, from, to, subject etc. Because the lotus notes to eml converter tool supports naming convention to save obtained result. 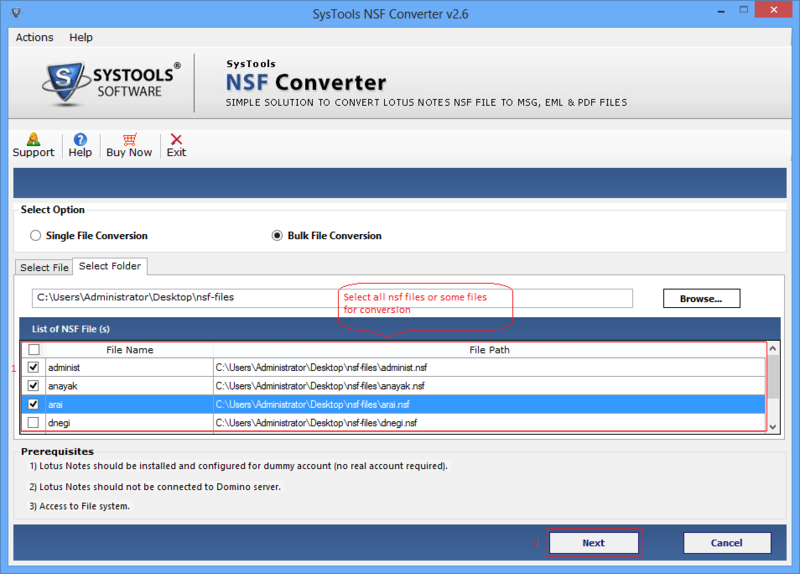 NSF to EML Converter Tool maintains folder hierarchy in the resultant file. It ensures that the folder structure will not be change after conversion process. It makes user to access resultant file in friendly manner. 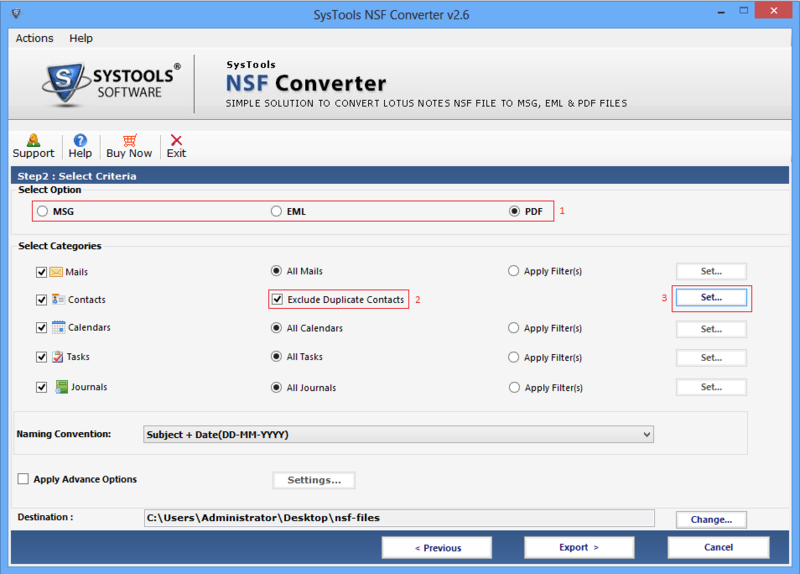 Yes, nsf to eml converter tool is compatible with all windows version like windows 10, windows 8, windows 7, windows vista and all below versions. 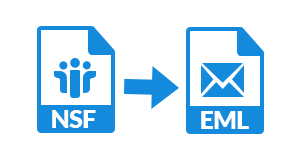 Does the software export password protected nsf file into eml format? Yes,the software converts password protected files but user need to provide password while performing conversion. If you forget password then tool will not perform conversion. Can I convert nsf file from network drive using this software? 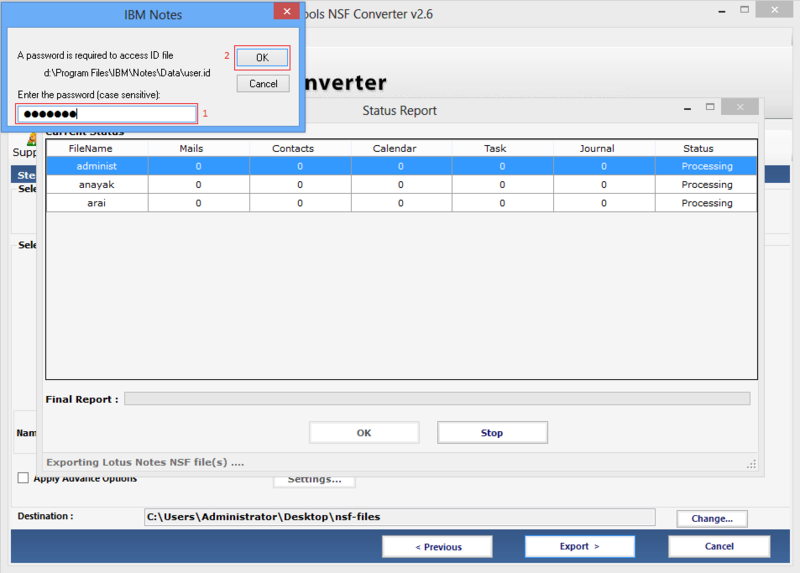 Yes, the lotus notes to eml export tool support conversion from network drive. 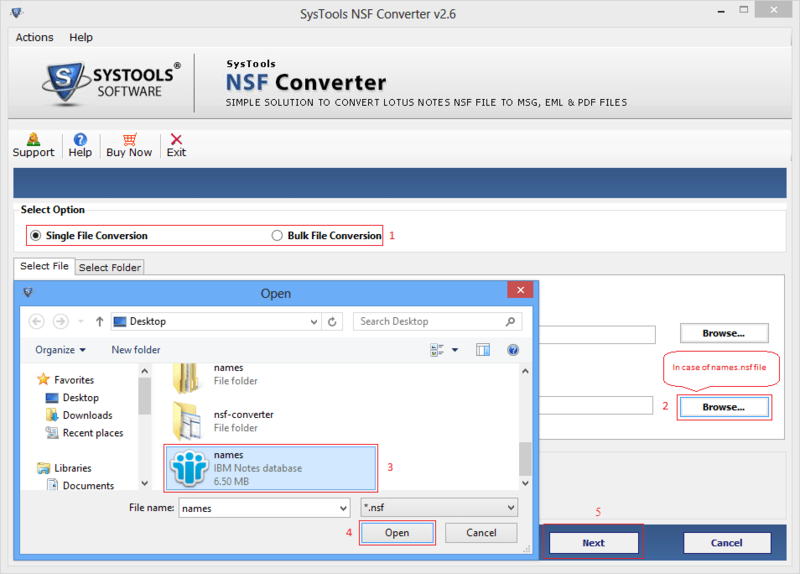 But We recommend to our user that fist copy the nsf file to local hard drive then perform conversion. Because it is faster then network conversion. Can I filter duplicate contacts using this software? 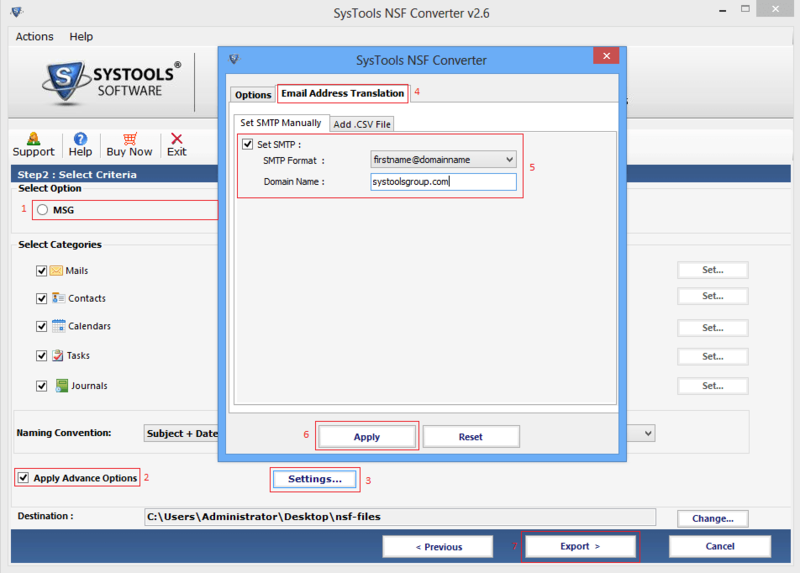 Yes, the NSF to EML Converter provides feature to discard duplicate contacts from conversion process. Is the software dependent on lotus notes installation? Yes, the software will perform conversion only when the lotus notes is installed on the host machine. Here you will find many file format for resultant file. Simply select EML radio button and Select Categories for conversion and click on Apply button. "Amazing Tool!! 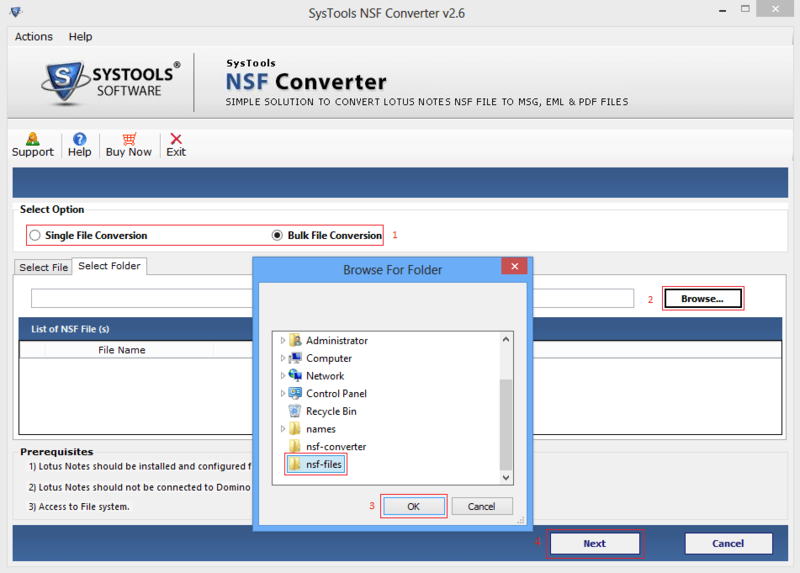 I was searching for the software that can convert my NSF file to EML file and I used your Lotus Notes to EML Conversion Software which worked really good and smooth. 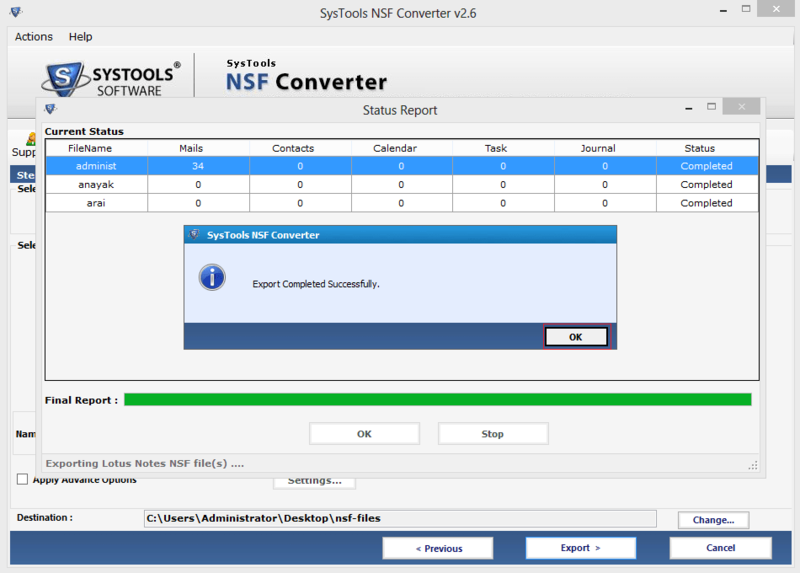 I want to say this is the mind blowing solution for NSF to EML Conversion. Thanks for providing best and secure solution to perform conversion." "I have tried several Third Party Tool but the results were not so satisfied. I would like to applaud the working process of your Software. The fabulous features were perfectly convert all my lotus notes emails easily converted into EML file with in original formatting effectively. 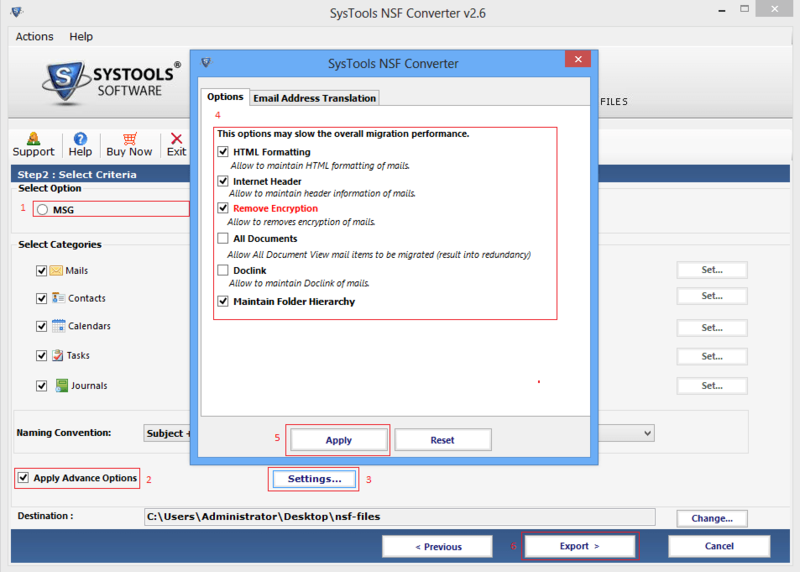 I would definitely recommend your NSF to EML Conversion software."